Sales consulting and sales training in South Africa to help companies unleash their sales potential. 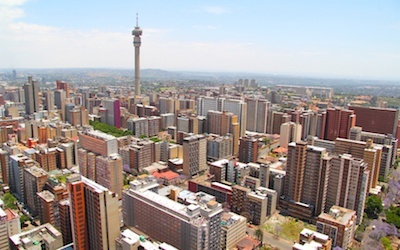 Based out of Johannesburg, RAIN Group South Africa provides sales consulting, sales coaching, and sales training in the Southern African region. We help our clients activate change in sales behaviour to improve sales performance and results. In the last decade, how buyers buy and how successful sellers sell has changed radically. We deliver sales training across Southern Africa, teaching our clients how to succeed in the new sales environment. We take a blended approach to learning and teach sellers how to successfully manage buying conversations with clients. Our approach includes instructor-led sales training followed by robust reinforcement with online learning and coaching for sales managers and team leaders. RAIN Group South Africa has experience in many business sectors including Financial Services, Media & Publishing, Energy, Professional Services, and Hospitality. “You cannot sell on the back of poor service” is something we believe in. Our success in the Hospitality Industry allows us to combine this statement with the RAIN Group methodology. “Blue Ocean Thinking” is something we live by. We have a team of experienced sales consultants and trainers who are all tasked with both selling and training. They know what it takes to sell, do it day and day out themselves, and will teach your team the skills needed to reach top performance. Contact us today to learn how we can help improve the sales skills of your team with sales consulting, coaching, and sales training in South Africa. As Practice Director for the Southern African region, Grant and his diverse team of associates bring a new energy to all corporates looking to unleash the sales potential of their teams. Grant began his own sales and service business in 1992. His first client was a large South African hotel group that "blue ocean’d" the hospitality industry—it became the first selected services hotel group in the region. His sales and service training company has made a significant impact on the hospitality industry in Southern Africa, having worked with City Lodge Hotels, Legacy Hotels and Resorts, and Tsogo Sun Hotel Group. His company extends its influence in many corporates, which include the education, construction, and financial sectors. Grant and his team are currently working on an 18 month project with Sun International which embraces live, instructor-led training, coaching, and online learning. He is a school teacher by profession and has been a professional speaker for much of his life. His speaking resume includes BMW, Momentum, South African Breweries, KLM, and other multi nationals. 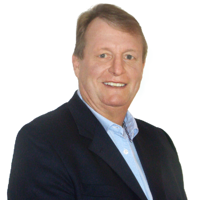 Anthony Galloway is one of South Africa’s most experienced training and development specialists. 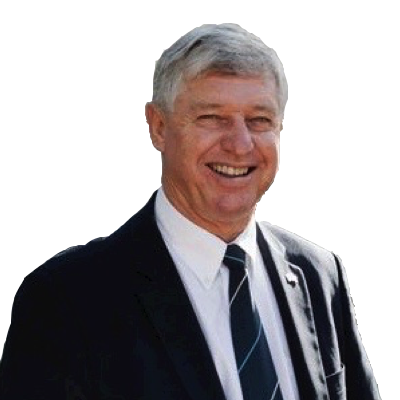 After qualifying as a teacher at Rhodes University, he spent three years as a high school teacher before joining the UK-based MAST orgnanisation in 1981, and committed himself to helping others accelerate their professional development since then. Over the years Anthony has facilitated training sessions throughout Southern Africa as well as in Australia, the UK, France, Switzerland, and Canada. During the 90s Anthony completed an MBA through the Henley Management College in the UK, which he has found to be an excellent foundation for all-round business consulting and coaching services. Throughout his career he has focused on the areas of sales and customer service training. In terms of personal interests, Anthony has been married to Candace since 1979, and they have a son, Christopher. Anthony dedicates a great deal of his time to fundraising for the non-profit LEAP Science and Maths Schools in South Africa, which brings quality high school education to underprivileged students from disadvantaged township communities. He is an avid sports fan, keeps himself reasonably fit through cycling and visits to the gym, and loves reading, learning, and travelling. Most sellers have a quota, or a sales performance target, that is set by the sales leaders at their organization. Set low goals, with the expectation that most sellers will meet their quota, resulting in a positive psychological and cultural effect. Set more challenging goals, expecting sellers might not hit them, but due to the Pygmalion Effect, they will achieve better results overall. Contact RAIN Group South Africa by filling out the form below or by calling +2782 881 0713.